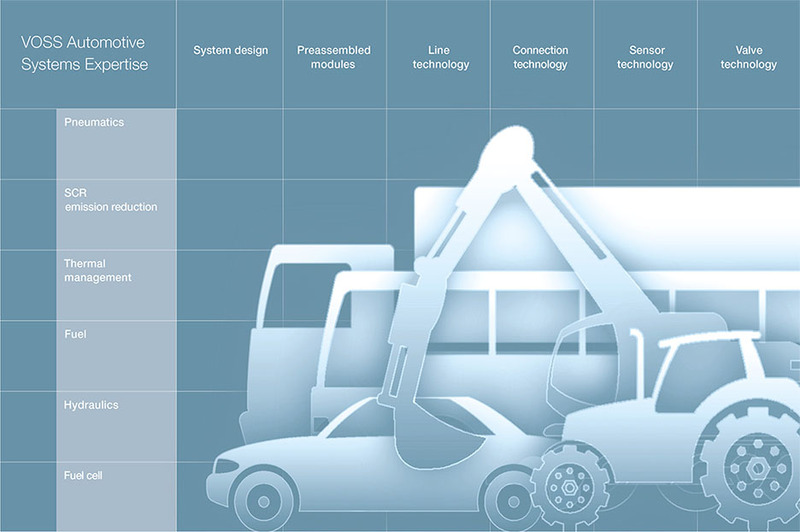 VOSS Automotive assists customers in the design and simulation of vehicle systems, works out solutions based on its extensive, proven product portfolio and develops new concepts. Planning and realization are from a single source – from development and prototype manufacturing through to delivery from an international production network. When optimizing products and processes in current series production the focus is on reducing parts diversity, weight, assembly times and costs. VOSS accompanies customers from installation advice through to service after the launch of series production. That means it can provide all-round service from a single source.